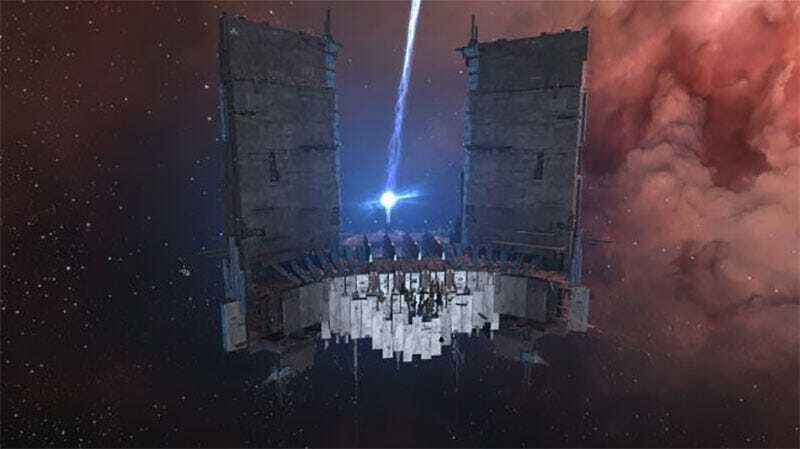 You know those enormous space stations you can build in EVE Online now? You know those enormous space stations you can build in EVE Online now? PC Gamer has a cool story about the quest to build the first one packing a superweapon. A bootleg Death Star, if you will.